The most that a lot of people know about Frankincense is that it was one of the gifts from the three wise men in the Bible story about the birth of Jesus. Frankincense oil is extracted from the leaves and roots of the Boswellia tree. The tree is common in Somalia and other very dry climates, according to Dr. Axe. This type of oil has been used for thousands of years for healing and therapy, Dr. Axe says. The natural antioxidant properties in this oil make it a top choice for natural remedies. 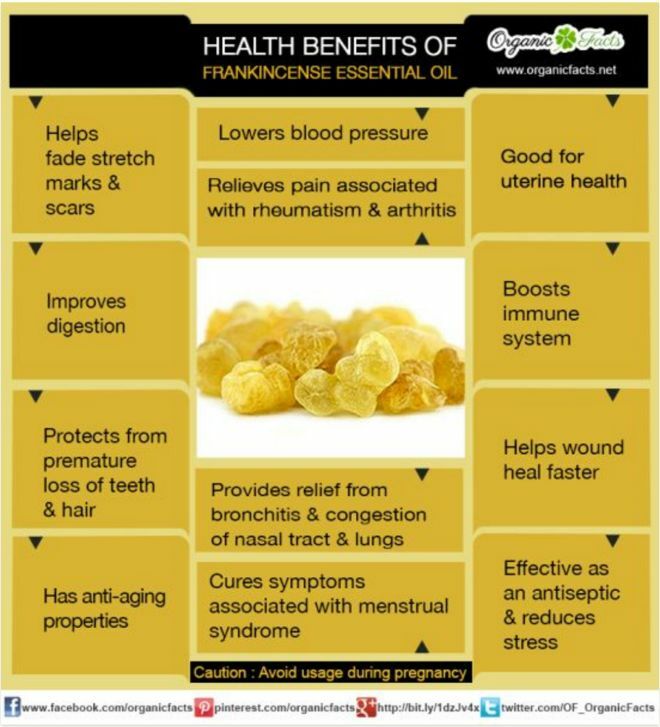 Frankincense has antiseptic properties. Organic Facts reports that the scent and smoke from the oil can have disinfectant effects. Dr. Axe suggests adding a few drops of the oil to a cloth and inhaling it for a few breaths to ease cold symptoms. Mix a bit of Frankincense oil with baking soda for an all-natural toothpaste. The antiseptic properties help prevent cavities and bad breath. These same properties protect against mouth sores, toothaches, and infections, according to Organic Facts. Try this oil to help reduce symptoms of menopause like nausea, headache, fatigue, mood swings and pain in the abdomen. Freshen the air in your home naturally, by adding a bit of Frankincense oil in a diffuser to help deodorize your house. Put a few of drops of oil to your bath and let your stress melt away. The scent of the oil encourages relaxation. Frankincense works as a sedative because the smell can encourage relaxation. Add Frankincense oil to a diffuser when you're feeling particularly anxious to calm your nerves. Mix one or two drops of Frankincense with a glass of water and a bit of honey. Drink the entire glass to help cure tummy aches and digestive issues. You'll want to make sure you use pure oil, not fragrance oil. Add Frankincense to a base oil (like coconut) or your favorite lotion, and apply directly to the skin. The oil helps reduce the appearance of scars, acne and stretch marks. 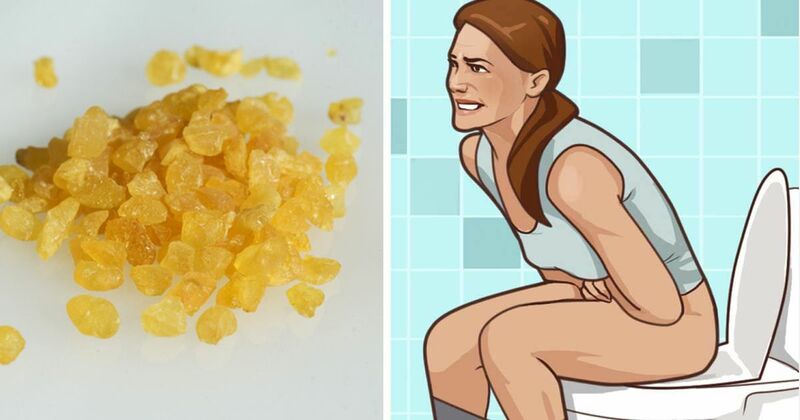 Frankincense has anti-inflammatory properties that make it a simple way to ease pain and swelling. Massage the oil onto sore joints. Alternatively, add some oil to hot water and soak a towel in the oil-infused water. Then apply the towel to your sore muscles or joints.